In winter, Amsterdam’s brisk night sky is illuminated for 50 days by the breathtaking Amsterdam Light Festival. You can experience all that this international fete has to offer from the best viewpoint in the city – right on the water. Festival activities: from special festivals to museum shows and other unique events that demonstrate light art innovation. 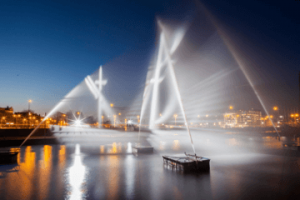 The Amsterdam Light Festival will celebrate its sixth anniversary in 2016. The party begins on Thursday, December 1, and lasts until Sunday, January 22. 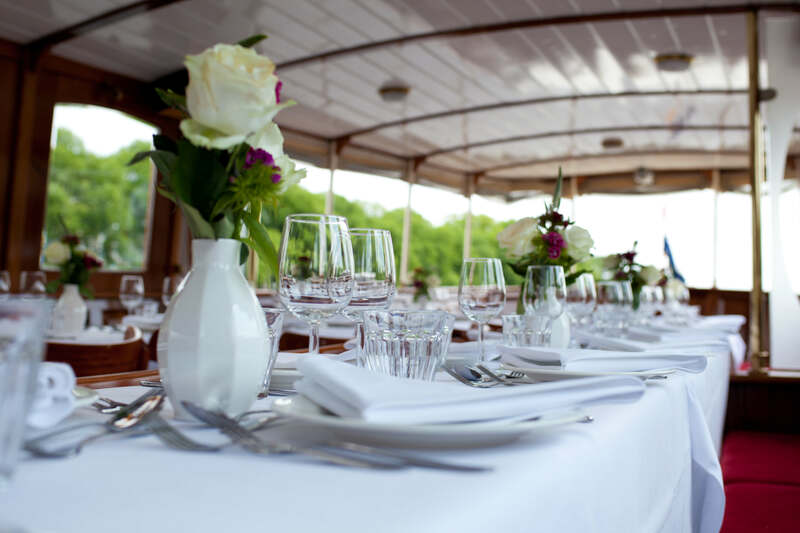 During the entire festival, Rederij Belle’s luxury boats will be available for private rental. Would you like to enjoy a drink while admiring the passing panorama of illuminated art? Or perhaps a bite to eat? 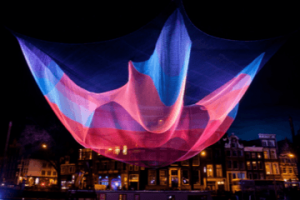 Rederij Belle offers three special packages for the event, all of which will make your cruise along the Amsterdam Light Festival even more festive. Amsterdam Light Festival Cocktail Cruise Sail with your friends on a private cocktail cruise along all of the light sculptures of the festival, including the beautifully-lit Hermitage, the Royal Theater Carré and the Magere Brug (Skinny Bridge). 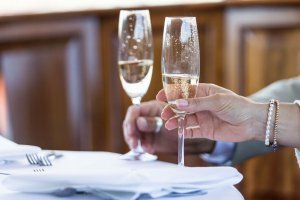 A combination of the festival, your friends, and some delicious cocktails will make it a night to remember. 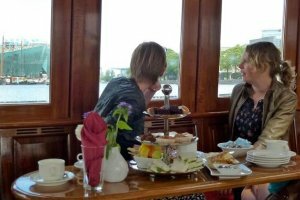 Amsterdam Light Festival Buffet Dinner Cruise With this package, you and your guests can enjoy the festival atmosphere and a delicious buffet on board. Everything you could need is with you on the water. 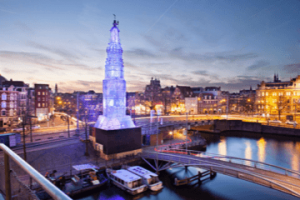 Amsterdam Light Festival 3 Course Dinner Cruise Spoil your guests with this exclusive arrangement that offers a 3-course à la carte dinner along with your Light Festival cruise. 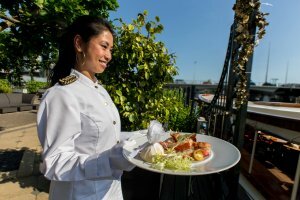 The dishes are prepared at one of Amsterdam’s top restaurants and delivered fresh to your private boat. The price per person for these packages depends on the size of your group and your specific package selections. As an indication, you will find some examples below. Together during a consultation, we will discuss your wishes and design the most-suitable package for you. Amsterdam Light Festival Cocktail Cruise Package: Price per person € 59, – for 10-40 people. Amsterdam Light Festival Buffet Dinner Cruise Package: Price per person € 99, – for 21-40 people. 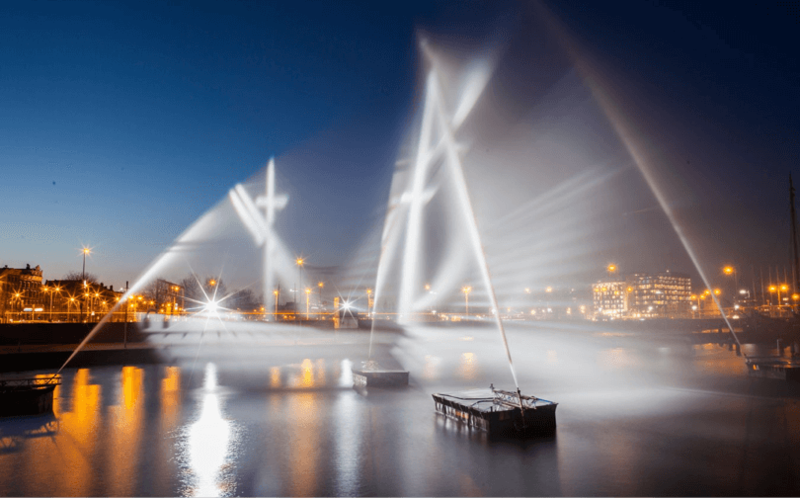 Amsterdam Light Festival 3 Course Dinner Cruise Package: price per person € 132, – for 21-40 people.